Abstract: In this thesis I argue that Earl Rögnvaldr Kali, lacking a patrilinial claim to the earldom of Orkney, used the cult of St Magnús, his maternal uncle, to create a new religiously based legitimacy for himself. Furthermore, I argue that the process of propagating this new ideology lead to a strengthening of both the Orcadian Church and the earl. In constructing this thesis I utilize both narrative sources, especially the Orkneyinga saga, and none written sources, i.e. archeological and place name studies. 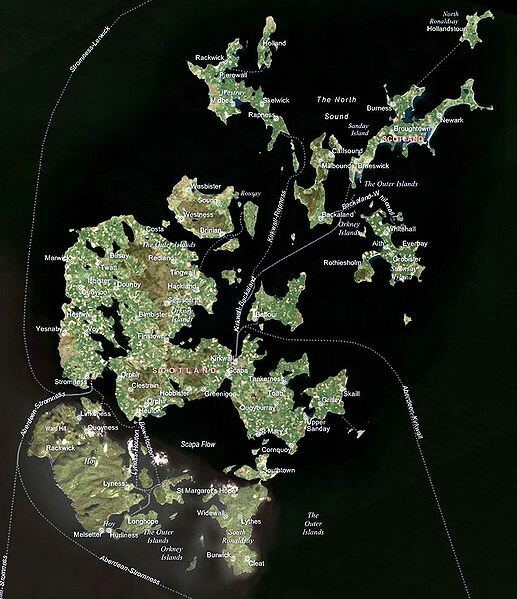 I have also used such documentary evidence as exists for twelfth-century Orkney, though this is fairly scant. I also relate the changes in ecclesiastical and political organization and administration to pan-European reforms of twelfth century to illustrate Orkney’s movement from a chieftaincy to a high mediaeval ‘state’.